I have been open about my debt to Rod Serling’s “The Twilight Zone.” Many people mistakenly think of TZ as a horror series. It was not, almost never. The stories were strange and always came with a twist. I’d call them intellectually ticklish. What I’ve tried to do with ST is capture some of that strangeness while still delivering the goosebumps. 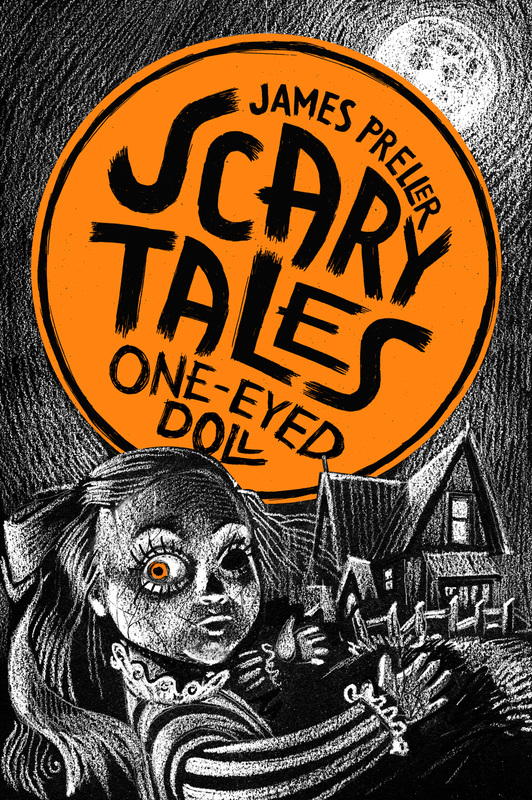 This upcoming one, The One-Eyed Doll (September 2014), might be the scariest, creepiest of all. I’d put Home Sweet Horror in second place in terms of traditionally “scary,” Good Night, Zombie in third, with Nightmareland fourth. The least scary, but possibly most surprising, more in the thriller mode, is I Scream, You Scream. Of course, we all react differently. Some folks are afraid of spiders, others jump on chairs at the sight of mice. When I started this series, I had big ambitions. I imagined — this is true — a painter working on a large canvas. I told my editor, “I don’t know if people will really see what I have in mind until I’ve done 20 titles, a color here, a splash there, because I want this to cross genre, move the “Horror” into Science Fiction, Fantasy, Thriller, Realistic and even Historical Fiction. I am most eager to do some Sci-Fi with this series, because in space they can’t hear you scream. But that’ll have to wait for now. Here’s the new cover. I am so grateful for the opportunity given to me by Jean Feiwel and Liz Szabla to write these books. Don’t they look great? Aren’t I lucky? And what do you think of Iacopo Bruno’s latest cover? I love it!